A good chenille sweater is the best way to stay comfy and on trend this year! This has the softest material, an oversized fit, and a neutral color that will go with EVERYTHING! 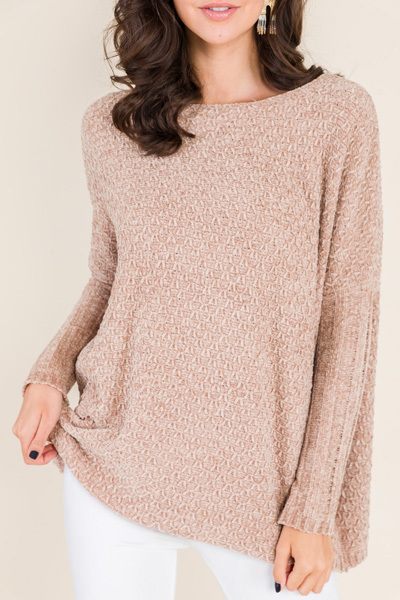 Thick ribbed sleeves help add some shape back to this otherwise roomy, one sized sweater. One size fits most; best fits sizes 2-12.